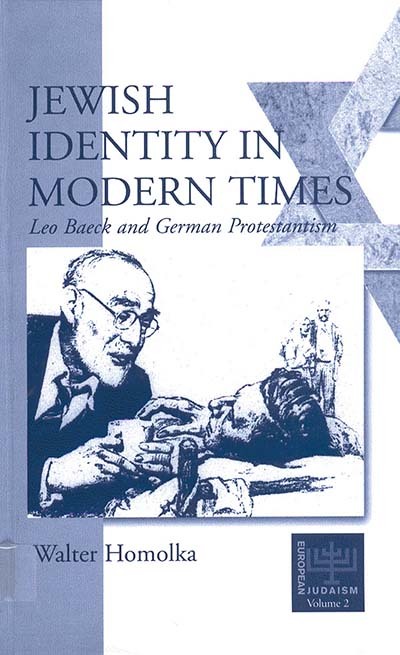 There is no doubt about Baeck's contribution to Jewish theology in the twentieth century: it has been significant. Without ever departing completely from the ancient wellsprings of orthodoxy, he was a studious observer of the intellectual currents of his time and ambience; under theinfluence of liberal Jewish theology, he drew on and reworked those currents, weaving them into his own theological thought. A special aspect of Baeck's work is that he remained in critical confrontation with Christianity throughout his life, acting as a kind of builder of bridges between the two faiths." (From the Introduction.) It is on this aspect that the author focuses his study inwhich he examines Leo Baeck's critical evaluation of Martin Luther and Protestantism. At the same time Homolka shows how close the intellectual links between liberal Christian and liberal Jewish theology had become before the Holocaust: both sides attempted a new definition of the "essence" of their faiths and were searching for a new identity in an increasingly pluralistic and secular society. Walter Homolka, Jewish scholar, theologian, economist and author, has had a varied career as a Student Rabbi at a Progressive synagogue in England, blue-collar worker and investment banker. From 1992 to 1995 he was involved with the development of international media strategy for the Bertelsmann Book Corporation and is now at Knaus/Siedler publishers in Berlin. Albert H. Friedlander is Rabbi at Westminster Synagogue London, Dean of the London Rabbinical Seminary Leo Baeck College and Vice-President of the World Union of Progressive Judaism. His publications include Leo Baeck: Teacher of Theresienstadt (1991) and, more recently, Riders towards the Dawn (1993).